How Many Apartments Does it Take to Make One Home? “The old living room and balcony on the sixth floor were transformed into the master bedroom with an en-suite open bathroom,” Hammer said. 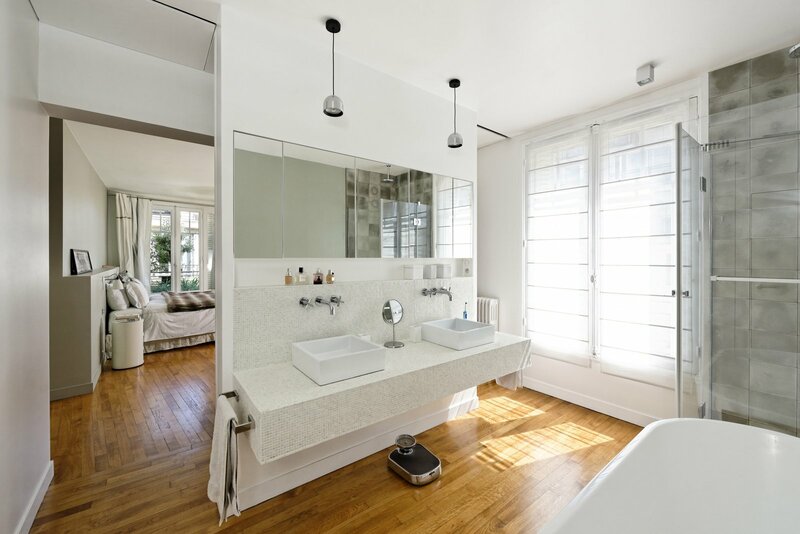 Flos lighting illuminates the space above the vanity.